Welcome to the Fall 2012 issue of The Idaho Librarian! Please enjoy the articles and feel free to comment or share using WP’s features. To access previous issues click HERE. Laura Solomon writes in the introduction of The Librarian’s Nitty-Gritty Guide to Social Media that “this book is my attempt not only to answer common questions libraries have about using social media but also to explain and demonstrate how libraries can be doing social media more effectively” (intro pg. ix).The best part about Solomon’s book is that she thoroughly accomplishes what she sets out to do–the book is chock full of effective methods to navigate the social media world, with the understanding of why libraries should be involved in social media in the first place. Solomon includes a wide range of topics from Understanding Social Capital (which is a key concept that I hadn’t heard before), Fine-Tuning Facebook, Online Reputation Management, Social Media in the Long Term, and more. Each of the eleven chapters addresses a vital component in understanding and managing social media for a library. Solomon doesn’t just talk about how to participate successfully in the social media world, but she also gives references, resources and practical tasks for a library’s social media plan. There are many types of social media sites discussed in this book, including Facebook, Twitter, MySpace, Google+, Instagram, YouTube, and blogging. It’s up to a library to choose what works best for their needs and patrons. 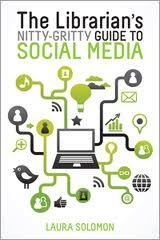 This book is a great asset for libraries wanting to start or advance their social media agenda. If libraries aren’t currently utilizing social media, this book will help you to understand and plan an effective social media campaign at whatever level will best suit your library. Whether you are the Library Director or the Social Media person, you will find practical applications in this book. At our library we have started using several social media sites; including Twitter, Pinterest, and Facebook to connect to our patrons and be a resource for our community. After reading this book I realized that I’d missed some steps to be successful in our media plan. For example, we didn’t have a Social Media Policy, and Solomon explains why that’s important and directs readers to several policies developed by other libraries. As the Library Director of a small rural library, I sat down to read the book and was excited to find a wealth of useful information I could use for our library. I ended up not only underlining the key tips that Solomon puts at the end of each chapter, but also wrote down a list of tasks for my library’s social media plan. We plan to implement a social media plan, poll our patrons to see what social media sites they use, and establish a social media team to help keep our sites current and updated. We especially appreciated the specific advice on how to effectively post on Twitter. My library also appreciated the final chapters that talk about evaluating your social media plan and social media in the long term. Solomon helps readers to understand how social media is a changing system, but will continue to be around in some form. If you follow Solomon’s advice and direction then you will have a long-term effective plan for your library’s social media. She also provides encouragement by having real-life library staff give social media advice. For example, “Social media, just as the names implies, is social. No one person or department can tackle it alone successfully. It has to be a group effort. And, oh, yeah I almost forgot, not an afterthought to your other endeavors” (192). When you are finished reading (and re-reading because the information is so relevant) the book, you will feel equipped and ready to take on the social media world. Solomon’s book is not only an effective guide, but in essence a how-to handbook for libraries using social media. I would recommend this book for libraries that would like to start using social media, and libraries that are having difficulty using social media effectively. Rebekah Hosman is the Library Director at the Grangeville Centennial Library. 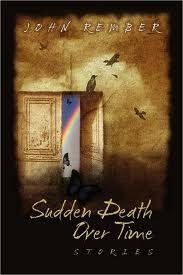 John Rember’s collection of short stories in Sudden Death, Over Time are both familiar and unexpected. Born and raised in Idaho, Rember uses his knowledge of the state to develop settings which most Idahoans would recognize. However, Rember was also a professor of literature and writing at the College of Idaho and Pacific University, and uses his experiences with academia to help him create stories which are both humorous and a little bit absurd. But memories are alive – they must be, considering all the damage they do. It’s probably good we can’t see them all the time. It’s probably good – for the sake of my birthday celebration – that Angle’s staked out a small space and time in this world where I can sit untroubled by my past and my future, my birth and my death (144). These stories are also irreverent, particularly towards academia. There is no idealized concept of the professoriate. Instead, his characters are incredibly flawed and prone to breaching both decorum and official policy. In “Selfish Gene,” Rember describes how the main character, a chemistry professor, has stored materials, including mercury, anthrax, and plutonium from the chemistry stockroom in his crawl space. In the same story, he describes another professor who is fired after sleeping with a student. Although he does not comment on the value of education, he does draw into question the importance of intellectual aspirations by highlighting political maneuvers by both faculty and administrators. In “No Time for Poetry,” a candidate for a position with the English Department blackmails her way into the job, while in “Nocturne,” the university administration moves the main character into the basement of an old steam plant in order to encourage him to retire. Sudden Death, Over Time will appeal to adult patrons of both public and academic libraries. John Rember’s writing style is clear and accessible, and his artful prose is eloquent without being pretentious. The eight stories never feel moralistic, but leave you with a sense that you have gained a deeper insight into the character’s motivations and relationships. Most of all, Sudden Death, Over Time leaves you wanting more of John Rember’s work. Michelle Armstrong is a librarian at Albertsons Library at Boise State University. Ms. Armstrong oversees the development of ScholarWorks, Boise State’s institutional repository, and serves as the Library Liaison for the Graduate College and Department of Mathematics. An important issue in religious studies is the examination of the roles that religious communities played in the social development of communities in relation to issues such as poverty and race relations. 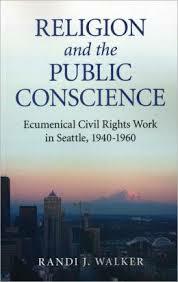 In Religion and the Public Conscience: Ecumenical Civil Rights Work in Seattle, 1940-1960, religious scholar Randi Walker provides an overview of this process in the urban Northwest. Walker takes the cases of two major organizations, the Seattle Council of Churches and the Christian Friends for Racial Equality, to illustrate the role of religion in formation of the idea of a “public conscience” that influenced race relations. Starting with an overview of Seattle from its founding until 1940, she goes on to discuss the philosophical concept of public conscience followed by a discussion of specific people and events as they influenced developments in the Seattle area. The modern development of Seattle took place in the context of overall societal changes in the United States. The northwest region was both less religious and, to some extent, more diverse than other regions of the country, especially during and after World War II, In this context the these organizations approached issues of discrimination, such as segregated blood banks and restrictive real estate covenants, in an effort to create a more integrated society. These two organizations also provided venues in which people of different cultures could interact socially. Walker places these events in religious and philosophical context relating them to both the views of various religious groups as well as philosophers such as Josiah Royce. In documenting the activities of the organizations and the individual members, the author provides an illustration of how religious communities, especially Christian ones, responded to the call to work out concrete changes in society in keeping with their stated philosophical principles. She points out that the history of race relations was such that the relationships between various racial groups in Seattle resulted in this area having a relatively smooth transition to a more integrated society as opposed to other communities in the United States which experienced much more tension and even outright violence. This book is a well-documented and well written account of the role of religion in the development of improvements in race relations in Seattle in the mid-20th century. It is highly focused so, although it provides some good background of history of religion in the United States, it would primarily be of interest to the specialist in either American religious history or urban history. This book is recommended for academic libraries or for individuals with an interest in religious history of the Northwest. Karl Bridges is the Assistant University Librarian for Systems at Eli M. Oboler Library at Idaho State University. The word epic could eventually suffer the fate of the word awesome: overused to the point of banality, losing its original meaning, trivialized by becoming adopted by popular culture and seeping into the vernacular. In its true sense, epic means of unusually great size or extent. 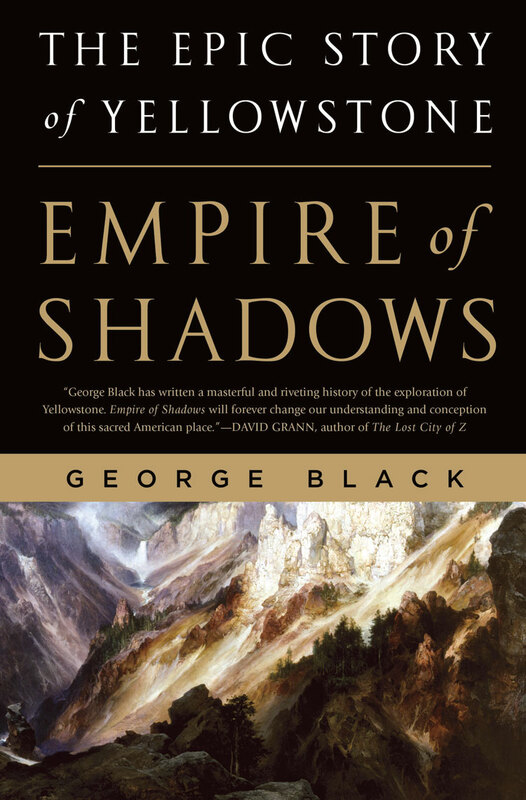 That being the case, George Black’s book Empire of Shadows: The Epic Story of Yellowstone lives up to its title, spanning decades, crossing cultures, and describing some of the most spectacular scenery ever beheld. With an unparalleled ability to weave together multitudinous facts and points of view into a compelling and cohesive narrative, Black’s book comes off with the same grandeur as the landscapes he describes and the personalities he brings to life. This is not just a book about the discovery and exploration of what became Yellowstone National Park; it provides a rich, broad, and deep backstory that gives one a fuller understanding of what, besides its natural wonders, makes Yellowstone such an incredible place. The land of Yellowstone is vividly described as a land of contrasts, from soaring peaks to deep canyons, from monumental and breathtaking cascades to hellish and diabolical landscapes. Likewise, the story of Yellowstone is one of contrasts, with characters both noble and deeply flawed, events both heroic and terrible, and trade-offs of both monumental sacrifice and tragic injustice. Contrasts and ironies abound. People such as Nathaniel Langford and Lt. Gustavus Doane inspire both veneration as well as condemnation. Doane, the aspiring explorer and intellectual, follows his participation in one of the greatest Indian massacres in United States history – the Marias Massacre of 170 or Blackfoot Indians, mostly women and children – with some of the most soaring descriptions of the awe-inspiring beauties ever penned during the first major exploration of the Yellowstone region in 1870. This exploration was made possible by the massacre, removing the final impediment of Indian opposition that had, in part, plagued earlier attempts. Langford, an ambitious businessman and prominent Montana citizen, is both likable because of his multitudinous talents as a jack-of-all-trades and abhorrent as one of the cruelest vigilantes in the region he was trying to establish and civilize. Black’s robust portrayal of these and other larger than life personalities gives the book its flavor and creates a multi-dimensional depiction of this era of history that mirrors the world of then and now. One of the most intriguing themes of the book is the depiction of noble ideals achieved through dubious means. The figures in this story are admirable but flawed, and Black makes these people come vividly to life in the great tradition of historians like Shelby Foote and David McCullough. Noble ideals, yes, in the establishment of the world’s first national park; dubious means, in the violence and cruelty suffered because of the clash of civilizations and the triumph of one at the expense of the other. The predominant 19th century themes of exploration, violence, and civilization eventually come together to form a nexus, all three on an inevitable collision course that makes the realization of the establishment of Yellowstone National Park a bittersweet accomplishment, giving one a fuller appreciation of what it took to preserve the beauties of the park and causes one to shed a tear or more when realizing how much blood was spilt and how many injustices committed to obtain this natural wonderland. Black mixes a tireless and indefatigable tendency towards thorough and critical research (almost 100 pages of notes and bibliography) with an amazing ability and talent as a storyteller of the first rate. His ability to combine the two makes for a riveting, compelling, story that is an absolute must for any library. The breadth of its scope provides not only a history of the Yellowstone which is its main object, but a sweeping view of the history and settlement of the 19th century American West. One of the best books this reviewer has ever read. This book is recommended to all college libraries and public libraries, especially those with a strong concentration of materials in history of the U.S. West. Christopher N. Fox is the Catalog Librarian at Brigham Young University-Idaho.